Welcome to the world peeps ! The nine newest additions to our flock all hatched over a 24-hour period this past Thursday and Friday. We had a 100% hatch rate in the Brinsea Mini Advance Incubator in our very first ever time hatching eggs! Maybe it was beginner's luck but I think it was more a testament to the quality products that Brinsea provided to us. We started nine eggs in the incubator and hand turned them (the incubator only holds seven eggs with the turning tray installed)) and all seemed viable, so I left them all in for the duration, and I am SO glad I did. The incubator was amazingly easy to use and obviously does a great job. I wholeheartedly recommend it to anyone wanting to hatch just a few chicks (AND the coupon code FRESH gets you 10% off your purchase!). To get all nine shipped fertile eggs to hatch is pretty darn good ! Can't ask for a better hatch rate than that. We now have two Welsummers, two Olive Eggers, a Black Copper Marans, a Blue Copper Marans, two Light Sussex and a Blue Ameraucana. 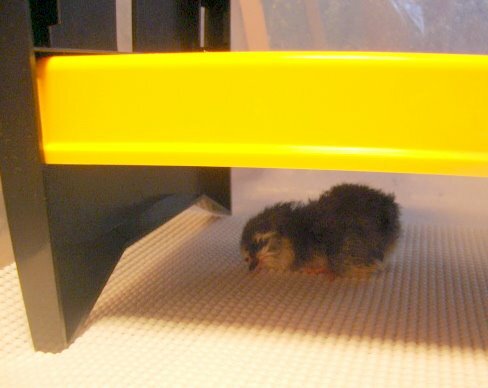 This Blue Ameraucana was the first to hatch. I can already tell she is a spunky thing ! I am trying the Brinsea EcoGlow 20 for the first time and it appears she likes it ! She explored the brooder box a bit and then crawled right underneath the EcoGlow and went to sleep. The EcoGlow replaces the red heat lamp and is supposed to more closely mimic being under a chicken. 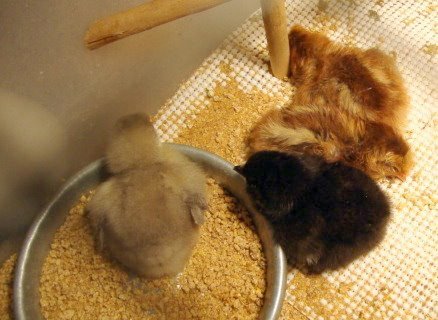 The chicks go underneath to warm up and then scoot out to eat, drink and play and then back underneath when they get cold. The first to hatch was soon joined not only by her hatch sisters but also by some more chicks that I ordered as day olds. In the mix is now also Lavender Orpingtons and Araucanas, plus more Light Sussex, Marans and Olive Eggers. Lots of play followed by naps is the routine for them. I use a Rubbermaid plastic tote as a brooder. A hole cut in the top covered in 1/2" hardware mesh ensures that nothing will get inside, but provides plenty of ventilation. On the bottom I layer newspaper and then cover that with rubber shelf liner. It provides a nice surface for little feet to grip and I like it better than paper towels because it is washable and reusable. The chicks have water with electrolytes mixed in which I will continue to give them for a few days to boost their energy levels and they are eating unmedicated chick starter. I went with the unmedicated feed because instead I work at building their immune systems naturally, but if you choose, there is medicated starter available as well. Shipped chicks have such a hard start to life, the last thing they need to be doing is fighting coccidia too. Especially if you have other chickens out in a run, the chances of bringing something inside with you is pretty high, so the medicated feed is good insurance against your babies contracting coccidiosis and will be their main sustenance for the first 8 weeks. At first the chicks weren't too sure about the feed, but now they are pecking away at it. to this... in 21 short days. It just doesn't seem possible. Well that concludes The Great Eggscape ! Thanks all for following along and a huge thank you to both Brinsea. I would say this hatch was a 100% success ! Click here for information on Baby Chick Care. The absolute most adorable little babies...congratulations mama! So cute! I just found your site. We just started our quest into the land of chicks. Welcome and congratulations ! There is no turning back now ! I know I sort of sound like an advertisement for Brinsea and Chicken Scratch Poultry...but to get all 9 eggs to hatch is just amazing to me ! Everything I had read about incubating shipped eggs led me to believe a 50% rate was to be expected, so I can't praise them enough. What little sweeties. Congratulations. Thank you for the links. I am going to check them out. Congratulations! They are so sweet. YAY! So glad they are out of there shells! Congrats, Lisa! I love the last photo, where a bunch of chicks are crowded around the thermometer. Mine did the same thing. What is it about thermometers?? Do you give the chicks ACV in their water? I could not find where you mentioned this. Hi I do. 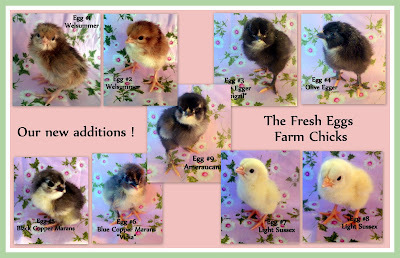 I actually have more info on baby chick care here: http://fresh-eggs-daily.blogspot.com/2012/01/chicks-are-coming.html It's a January 28th blog called Baby Chick Care. I put a link on the bottom of this blog since I really didn't go much into the ACV or garlic in this blog. That was a great eggsperience. 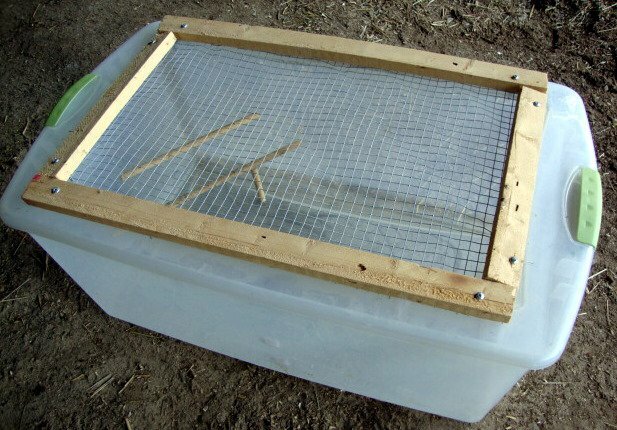 So what happened with the other eggs you gave to your friend with the home made incubator? She lost them all. Bacteria got in the shells - she wasn't meticulous about washing hands before handling them apparently.